The Presurfer: Are Aliens Talking To Us? 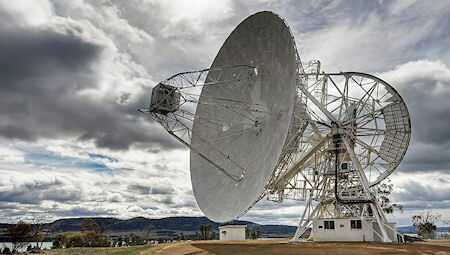 On August 15, the news broke that a Russian radio telescope detected strong signals from outer space. The signals allegedly originated from a star 95 light-years from Earth. This means that the signal would have left the star or, potentially, an orbiting planet, 95 years ago. Scientists were cautious, but still believed the source deserved permanent monitoring. The signal seems to be isotropic, that is, beamed with the same power in all directions. For this to happen the responsible civilization would have to be a Kardashev Type II, a kind of civilization with a technology way more advanced than our own.